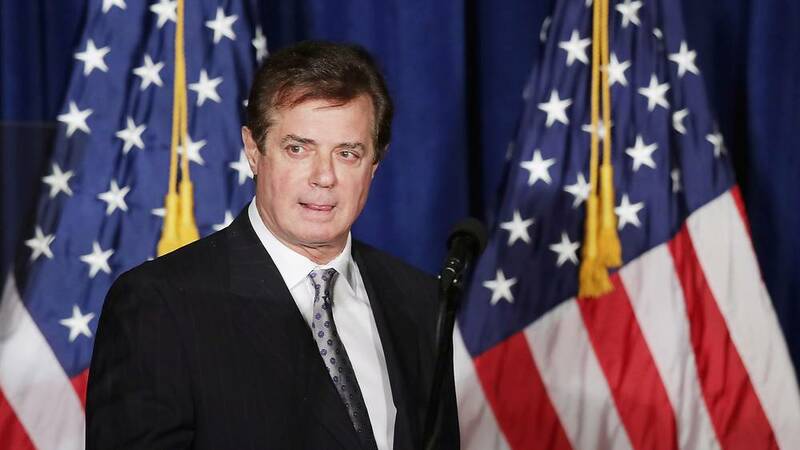 (The Hill) Former Trump campaign chairman Paul Manafort pleaded guilty to two federal charges Friday in a deal that includes cooperation with special counsel Robert Mueller’s investigation. Judge Amy Berman Jackson said in court on Friday that he has agreed to submit to interviews with the special counsel, testify in any future cases and provide related documents. According to the plea agreement filed in court Friday afternoon, Manafort must cooperate “fully, truthfully, completely, and forthrightly” with the Justice Department in any and all matters that the government finds his cooperation to be relevant. He has also agreed to forfeit several properties and the current funds held in several bank accounts. “I plead guilty,” Manafort told the judge quietly after answering a series of questions from the judge. Manafort gave the guilty plea on one count of conspiracy against the United States and one count of conspiracy to obstruct justice by witness tampering. The sentencing guidelines indicate Manafort could face between 210 to 262 months in prison for the crimes and pay a fine of $40,000 to 400,000. But Berman said the statutory guidelines cap the sentence at five years for each count and that prosecutors have agreed a sentence capped at the guideline range would be reasonable. She also said prosecutors will file a request for a lesser sentence based on the value of information he provides in cooperating with their investigation, but she said she does not have to accept that request. Prosecutors and Manafort’s defense attorneys agreed to file a joint status report by Nov. 16. Mueller filed a superseding criminal information earlier on Friday laying out a series of allegations related to Manafort’s work lobbying on behalf of pro-Russia forces in Ukraine that had already been charged in previous court filings. Prosecutors allege that he’s conspiring with his former business partner Richard Gates and Russian associate Konstantin Kilimnik, illegally lobbied on behalf of a foreign government by failing to register as a foreign agent. Prosecutors also allege that he laundered more than $30 million from his work to buy property and other items in the United States, evading more than $15 million in taxes. Tax payers are spending a fortune to fund a corrupt search for evidence that doesn’t exists. In the meantime Meuller is looking for anything, outside his scope of investigation, that he can pin on anyone who ever knew Trump. How the hell can this go on for so long? (rhetorical). Mueller “The Misguided Fool” needs to be arrested for malfeasance in office as well as false representation of his credentials to be in the position he has taken in which to participate in what’s known by most Americans as a total farce!! this is what happens when Trump hired this FLEABAG LOWLIFE SOB. i feel Trump a lot of times is TO TRUSTING OF PEOPLE.